SWITZERLAND CUSTOMERS: Swiss Federal Customs’ recently introduced rules about importation of precious metals mean we cannot guarantee delivery to Swiss addresses of products made from Gold, Sterling Silver or gold plated Tungsten Carbide. By ordering, you accept responsibility not only for importation taxes and duties but also for non-delivery, return costs and potential confiscation by Swiss Federal Customs. This is all outside Weta Workshop’s control and we regret to have to make these adjustments to our sales terms. 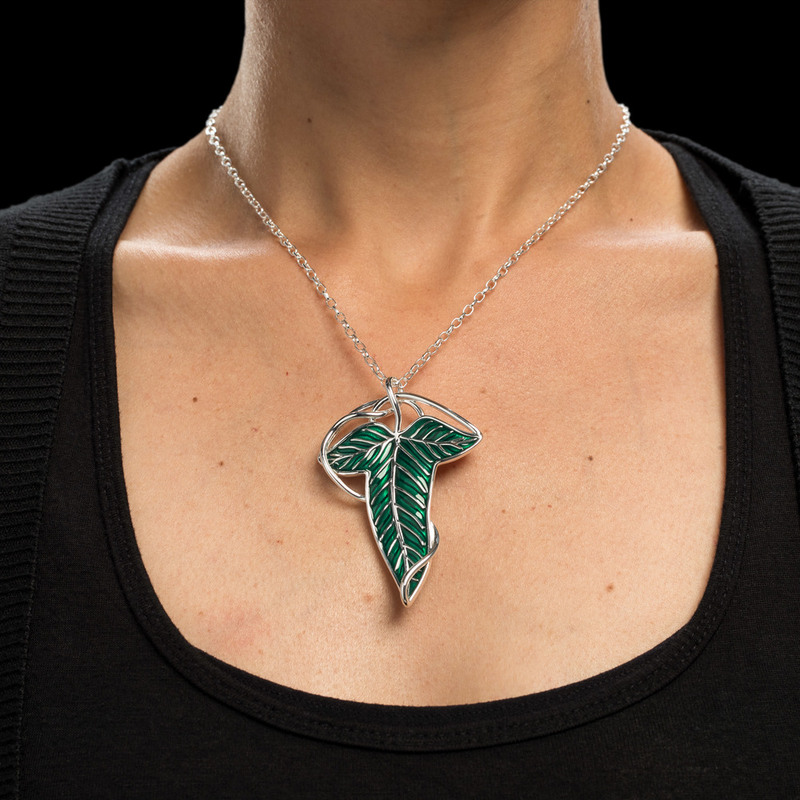 We recommend you consider using a shipping address outside Switzerland. 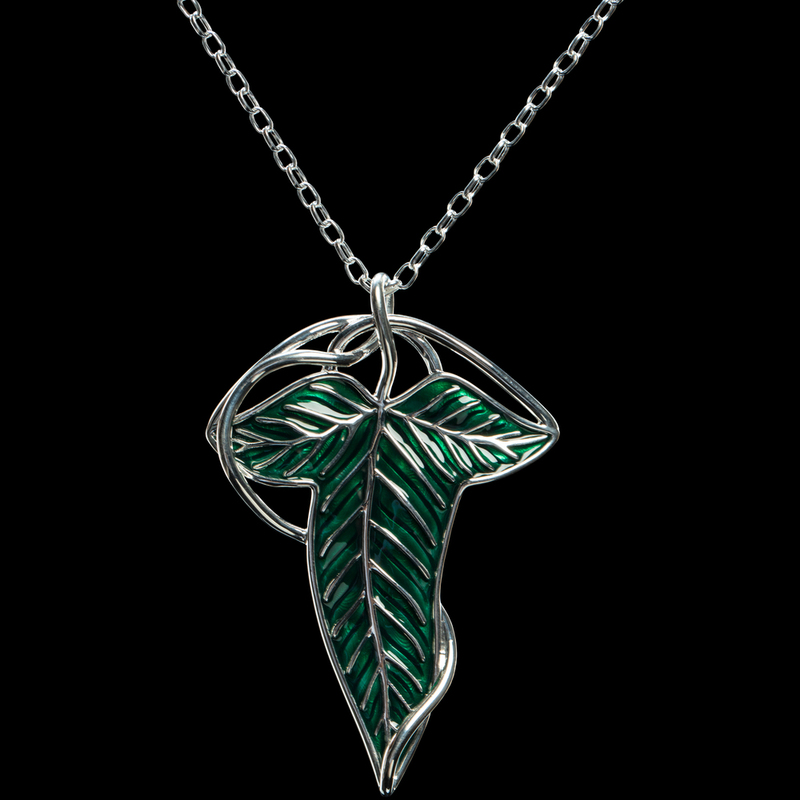 All the grace, beauty and elegance of the Elves, infused into one beautiful piece of jewellery. 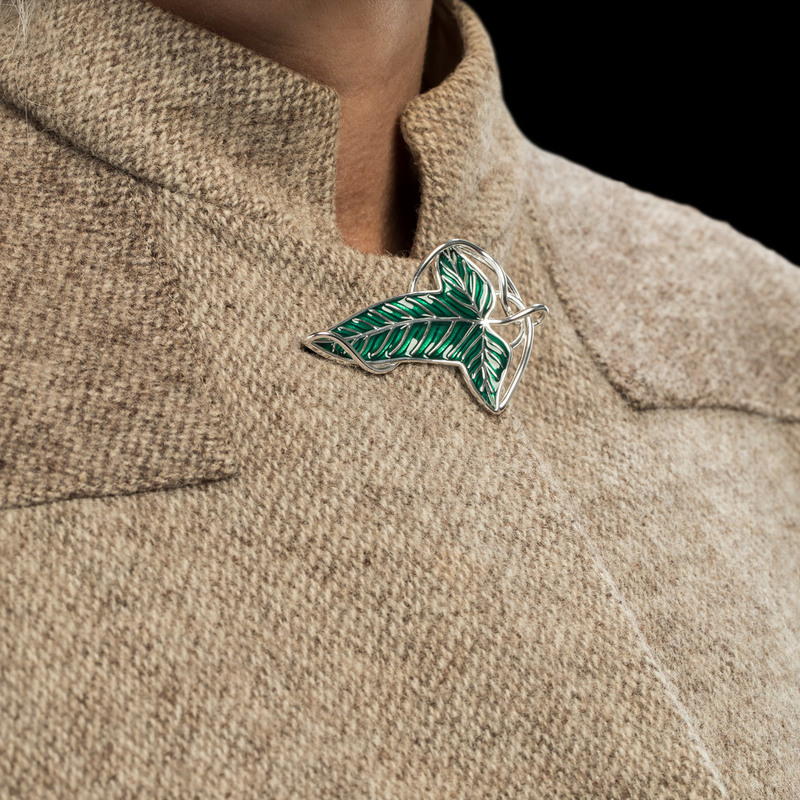 Our line of fine jewellery has been created for collectors, fans and aficionados of The Lord of the Rings trilogy. 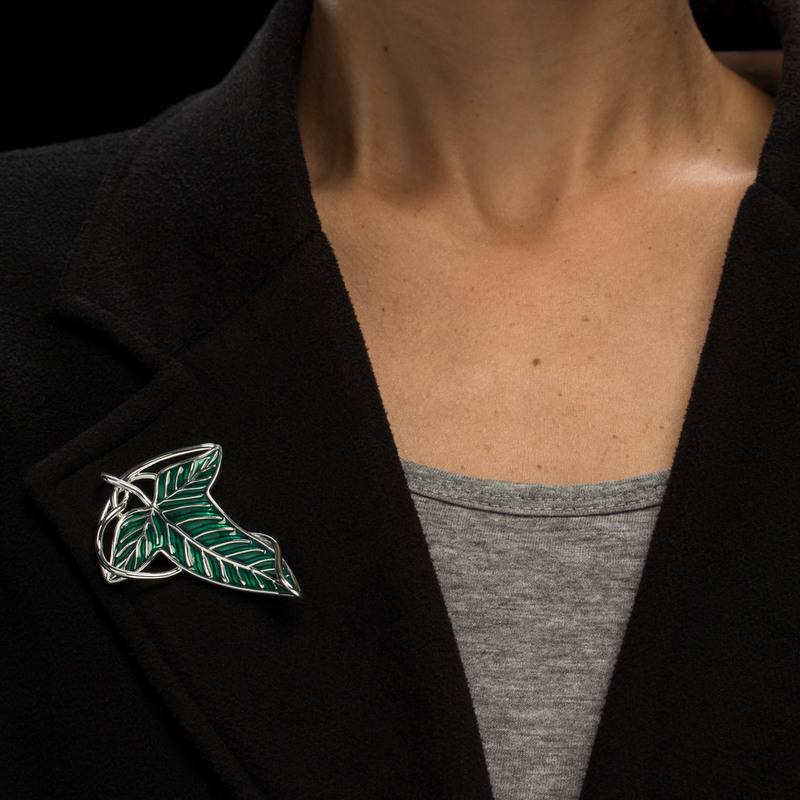 Instantly recognisable from the films, we present the Elven Leaf Brooch. The craftsmanship, beauty, and presentation of this item is fantastic. 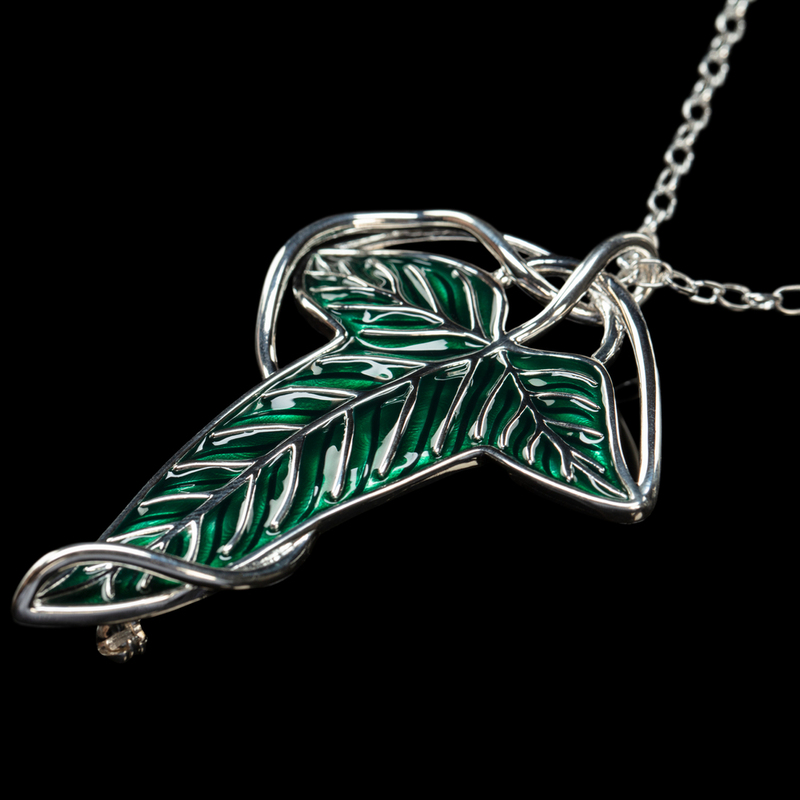 An absolutely beautiful and must-have piece for any Tolkien fan. 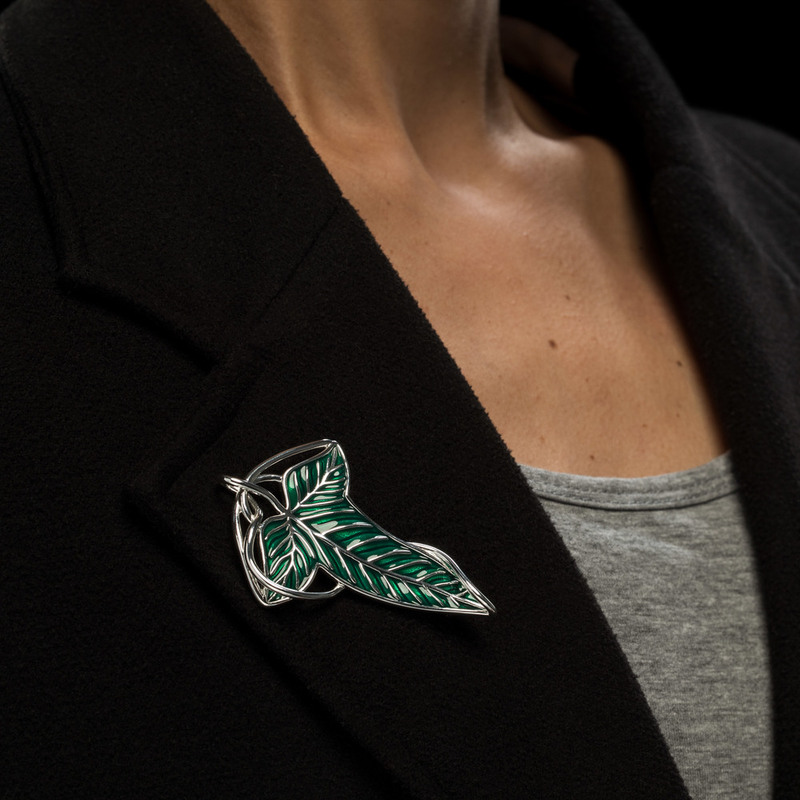 This fine piece of jewellery is made from Sterling Silver and green enamel and comes with a Sterling Silver chain that allows it to be worn as a pendant as well as a brooch. 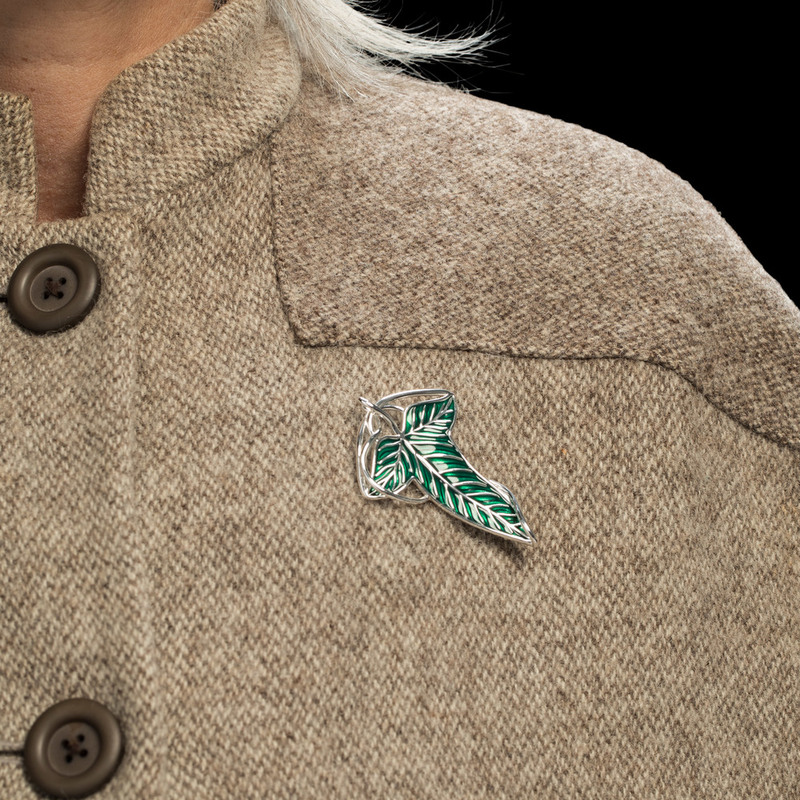 It comes delicately presented in a pouch made from the same authentic Stansborough wool cloth that the cloaks presented to the Fellowship by the elves in The Lord of the Rings were made from. The pouch measures 5.5in x 3.5in / 14cm x 8.5cm. 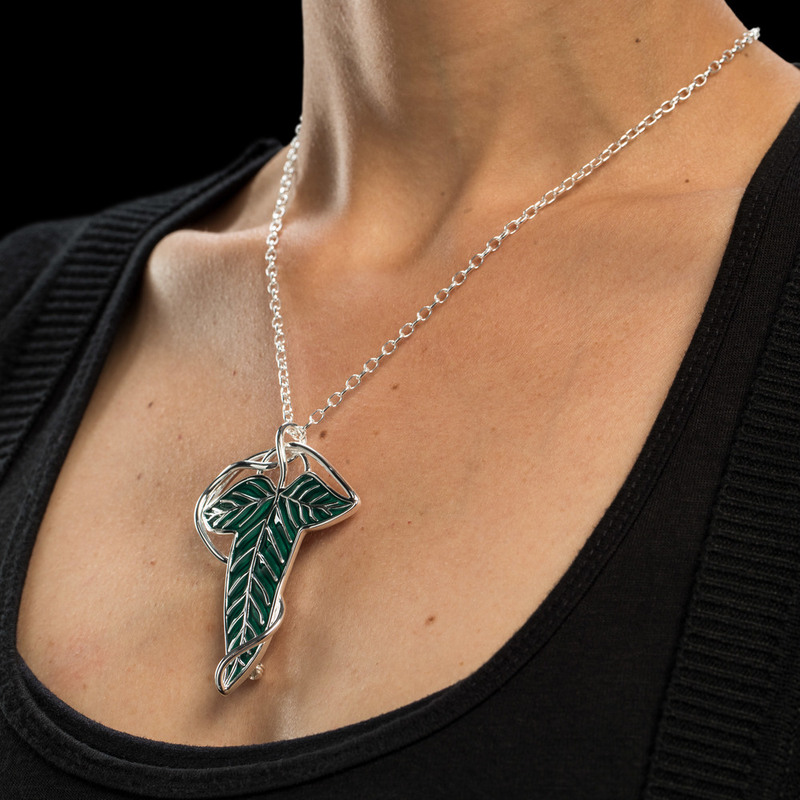 Click here for a detailed guide on how to care for your Sterling Silver jewellery.